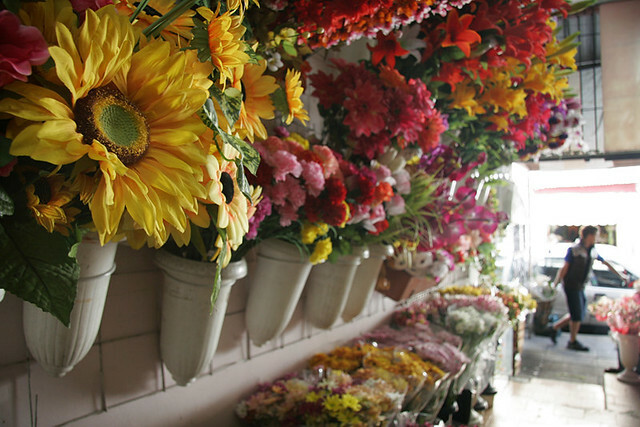 The purples, reds, pinks, yellows, and greens that flower vendors sprinkle the city with are one of the many things that make Buenos Aires charming. Valentines Day is the perfect excuse to indulge in the fragrance and color of these delicate gifts from nature. 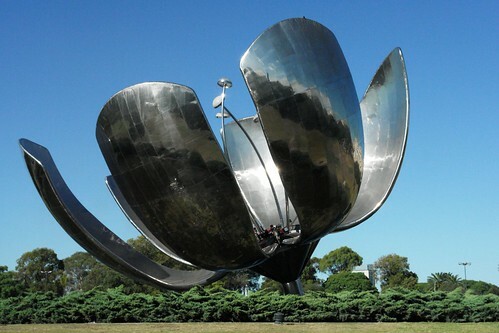 The local flower industry, which caters only to internal consumption, produces mostly in the Buenos Aires province and consists of family run businesses that pass on cultivation techniques from generation to generation, adding to the romance of the bouquet. Vendors are everywhere and can be found at all times of day although there are two important flower spots in the city. One is in the Almagro area where the flower market used to be and where Acuña de Figueroa street is now lined with flowers. The other is where the flower market (founded in 1940) was finally moved to in Barracas. Both are interesting neighborhoods to explore, full of history, tangos and more. 1 Retiro: Full of movement and busy commuters going to and fro the central train station and bus terminals, this lively neighborhood is great for people watching and has wonderful sites too. The San Martin Park with its Malvinas monument, the Torre Monumental, The Kavanagh Building, the stunning Military Palace with its museum of arms, the Fernandez Blanco Hispanic art museum and the art galleries around calle Arroyo, make Retiro a great place to visit. 2 San Nicolas: Next to Retiro, often know as downtown, this emblematic neighborhood is known for its many notable bars such as La Giralda and Confiteria Ideal, for the famous Obelisco and Corrientes Avenue where you can find Broadway like theatres, bookstores galore and the best pizzerias in town, and for its architectural landmarks such as Tribunales, the Palacio de Aguas Corrientes, and the stunning Colon Theatre. 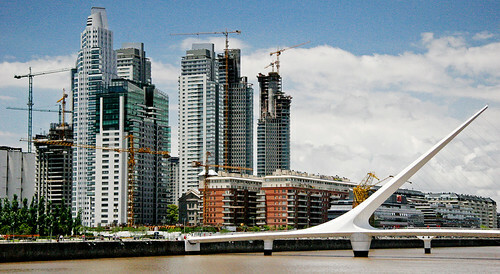 3 Puerto Madero: On the other side of San Nicolas, crossing the Leando Alem Avenue is Puerto Madero. This area, which is pierced by the river, is lined with renovated warehouses which were turned into hip restaurants. Modern and upscale, it is a great place to walk through, and lunch in. The elegant Puente de la Mujer, the Fragata de Libertad (a ship turned into a museum) and the Ecological Reserve through which you can get one of the best views of the city, are worth checking out whilst in the area. 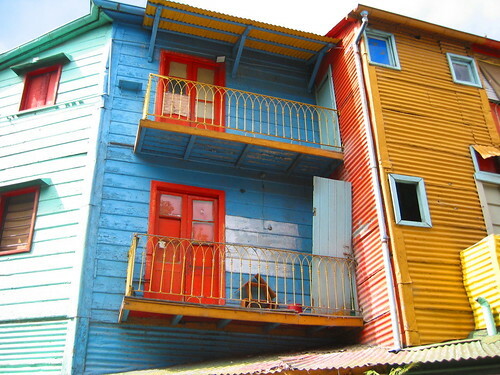 4 La Boca: A well-known neighborhood in the turistic circuit because of its colorful houses and its historic relevance in the unique migratory patterns that defined the city’s identity in the early 20th century. Places worth checking out are Caminito, fundacion PROA (great art exhibits), the Quinquela Martin museum and the Boca stadium. 5 Barracas: This historic off the beaten path neighborhood was originally occupied by the emblematic families of the city who built beautiful palaces, houses and churches. An outbreak of yellow fever however scared these families out of their homes at the end of the 19th century and working class later populated it. A textile factory, and a chocolate factory amongst other were opened attracting more workers. These factories however closed in the eighties, and the construction of nearby highways impoverished the once rich neighborhood even more. 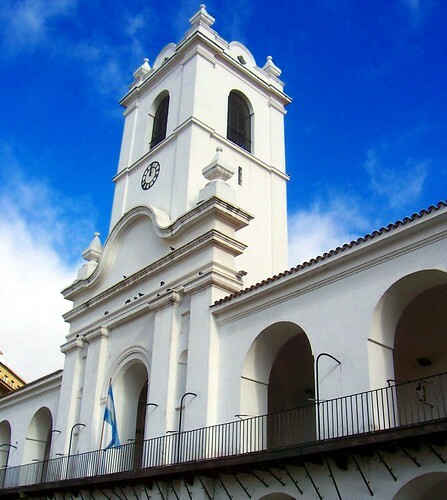 This coexistence of classes and structures with interesting places such as churches, factories, pasaje lanin, and an underground meeting spot for secret societies make Barracas a very interesting place to visit. We do insist that you go with someone who knows the area as there are parts of the neighborhood that are very unsafe. Eternautas, for example offers a great tour of this area. 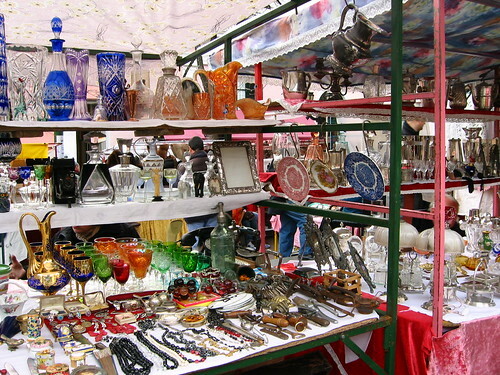 6 San Telmo: Another favorite on the turistic circuit, San Telmo is a colorful and lively neighborhood known for its antique fair on Sundays. Apart from its antique shops, it has many lovely traditional bars (El Federal, Bar Seddon, Bar Dorrego), a buzzing modern art and design scene (check out the MAMBA museum) and a lot of tango shows both on and off the streets. 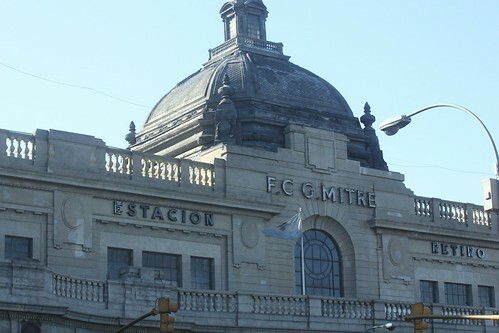 7 Monserrat: The historical and “political” neighborhood of Buenos Aires. Monserrat is where Congress and the government house (Casa Rosada) are set. 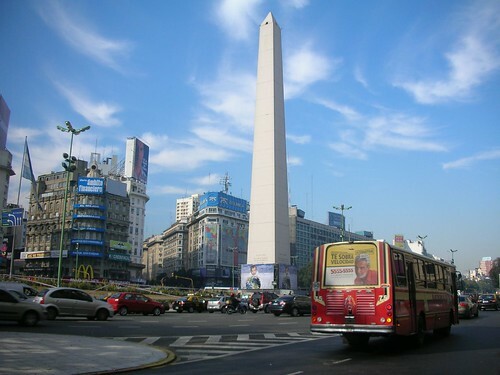 Also in the area is Plaza de Mayo, Palacio Barolo, the subway line, which still keeps the charming old-fashioned wagons, Cafe Tortoni and Los 36 Billares and La Manzana de las Luces, an old jesuit residence dating back to the 1700’s. 8 Abasto and Almagro: (They’re really two neighborhoods but since they’re next to each other and have so much in common we decided to join them.) These buzzing cultural neighborhoods are considered to be tango epicenters as none other than Carlos Gardel was raised there. 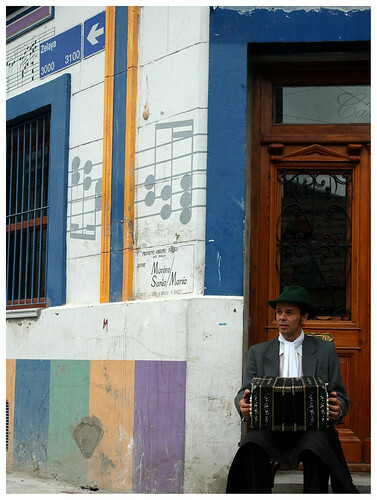 Consequently, the Carlos Gardel museum is in this neighborhood, as well as many tango bars and milongas such as La Catedral and El Bar de Roberto. Other places to visit are Confiteria Las Violetas, one of the most beautiful teahouses in the city, and the Centro Cultural Konex where original and lively shows are often staged. 9 Recoleta: the rich families of the city populated this luxurious emblematic neighborhood when they fled from Barracas due to the yellow fever outbreak. The lush parks and elaborate French architecture come to mind when Buenos Aires is referred to as the Paris of South America. The famous Recoleta cemetery is a must visit in the area, as well as the two art museums (MALBA and MNBA), the Duhau Palace, the Floralis Generica sculpture next to the national school of law and La Biela cafe. 10 Palermo: This extensive neighborhood has become the it place for dining, shopping and going out. 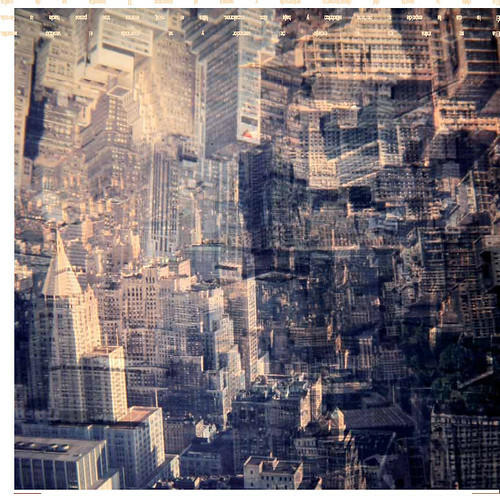 Its lovely corners, gourmet restaurants, boutique hotels, unique design stores make it fun and lively. Its gorgeous 3 de Febrero parks with its rose garden, Japanese garden, Botanical garden and Zoo, and the racetracks complete this bustling areas appeal.